Pre-manufacturing phase: TalaSecure provides an TalaSecure agent to the developer to test the system. The firmware is signed and encrypted. 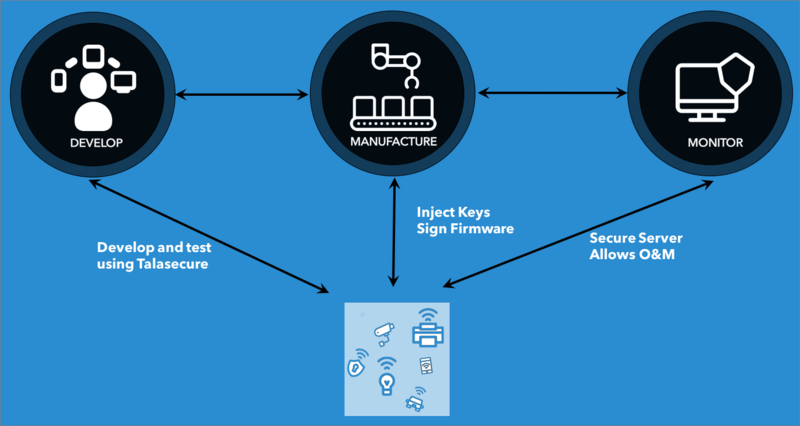 Manufacturing phase: The TalaSecure manufacturing orchestrator is integrated into the factory software to enable the injection of production keys and signed firmware. TalaSecure can upgrade security of devices in the field without recalling them. This feature is made more secure if these devices are connected using a cellular platform (3G/4G).